MANILA, Philippines – Typhoon Mangkhut (international name) has entered the Philippine Area of Responsibility (PAR) and was named "Ompong", state weather bureau PAGASA announced Wednesday afternoon, September 12. Satellite image of 'Bagyong Ompong' as of September 12, 2018. Image from Graham Creed, ABC NSW and News Weatherman. Typhoon Ompong continues to threaten Northern Luzon. Tropical cyclone warning signal (TCWS) #1 (30-60kph expected in 36 hrs) is currently up over Catanduanes. "The province of Catanduanes will experience the peripheral effects of Ompong within the next 36 hours, bringing occasional rains and gusty winds," PAGASA said. At 4:00 pm today, the eye of Typhoon "Ompong" was located based on all available data at 1,145 km East of Virac, Catanduanes (14.0 °N, 134.8 °E). 'Ompong' has maximum sustained winds of 205 km/h near the center and gustiness of up to 255 km/h. It is moving West at 20 km/h. The typhoon may reach a peak intensity of 220 / 270 kph (maximum sustained winds/gustiness) tomorrow (September 13). Meanwhile, report from Joint Typhoon Warning Center (JTWC) said 'Mangkhut' already reached super typhoon level. 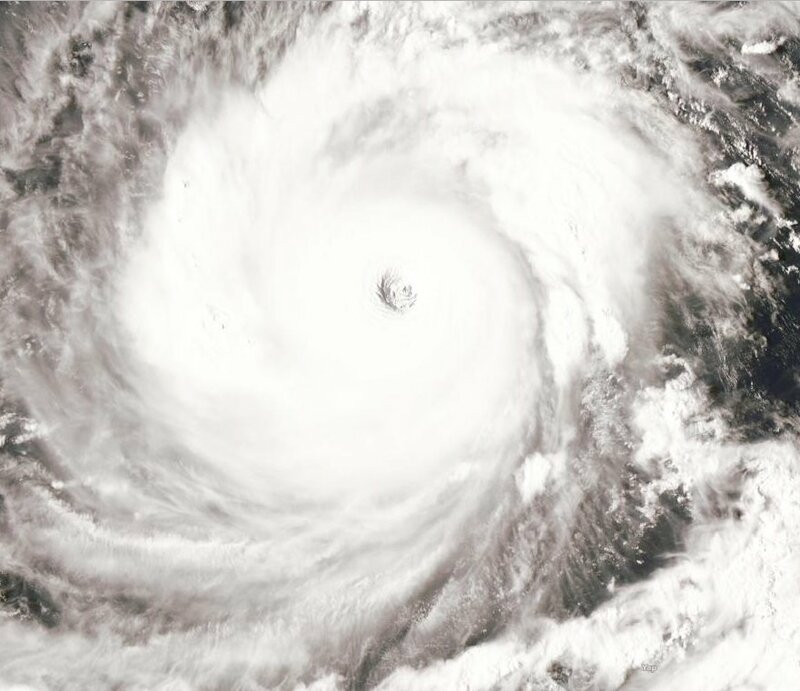 It has maximum sustained winds of 260 km/h (140 knots) near the center and gustiness of up to 315 km/h (170 knots). 'Ompong' is expected to make landfall in the northern tip of Cagayan on Saturday (September 15). TCWS #1 may be raised in provinces of Cagayan, Isabela, Aurora, Camarines Norte and Camarines Sur tomorrow morning (September 13).